Ivy Ridge model home for sale on prime State College real estate. While the news coming out of Happy Valley may be a little less happy these days, there is still good news for homebuyers who want to buy their dream home on prime State College real estate. In order to make room for new model homes in Ivy Ridge at the Village at Penn State, we first must sell our current model home. 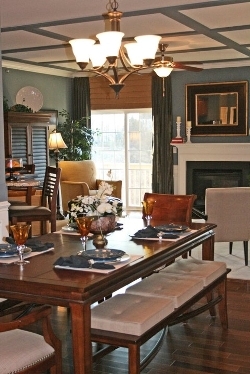 Learn more about WV new homes at Worthington Village barbecue. 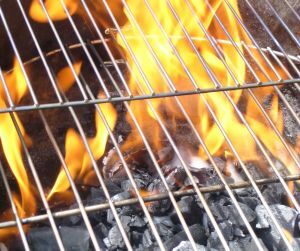 When super hot temperatures and the summer doldrums hit, there is no better cure than a good, old fashioned barbeque. This weekend, at Worthington Village in Bridgeport, WV, we are putting more than a few burgers on the grill. On Saturday, July 21, we are opening up our community of WV new homes from 1 p.m. to 4 p.m. to welcome both current residents and those thinking of purchasing new construction to view our model homes, quick delivery homes and enjoy fun and food for the whole family. Living outside of Pittsburgh in PA energy efficient homes is more affordable now than ever. Not only are interest rates once again at historic lows, but the overall pricing of the real estate market in this area is still a relative bargain compared to most major metros in the U.S. This week the news for those seeking an affordable, spacious home near Pittsburgh, PA just got even brighter. S&A Homes has announced pre-construction pricing on a brand new carriage home product, The Wakefield, being exclusively sold in the popular Centennial Pointe community. The new floor plan stays true to S&A’s energy efficient design, but certainly doesn’t sacrifice any space to do so and starts from the $230,000s. When you are out shopping or dining, how often do you think to check the BBB rating of that business prior to making a purchase? For most of us…never. Usually it isn’t until we discover a major flaw or disservice that cannot be remedied that we even think of taking such action. Wondering how you’re going to spend the Fourth of July and want to find something to do near your Gettysburg new homes? With our nation’s independence day just around the corner, nothing could be more patriotic than spending the day (or weekend) in one of America’s most historically significant towns. 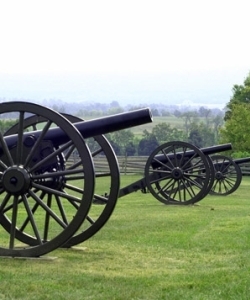 This weekend, July 6-8, Gettysburg will host its 149th Annual Reenactment. This is more than just a little gun fight. The annual event literally reconstructs the actual events of the Civil War’s most infamous battle. In addition to live mortar displays and battle recreations, attendees will have a chance to experience food and music from the civil war period, join in on activities for the whole family and even visit a re-created village. What better way to appreciate our nation’s history than to experience it first hand?